My stock 5.9 alt just started to crap out on me and finding a 150A original reman alt is close to impossible, so I just swapped in the 160amp 2001-2003 Dodge Durango Alt. It is a super easy swap. I got AC Delco part # 334-1446 off of RockAuto. The plug for the back of the Durango alternator I got off of EBay for $12.00. 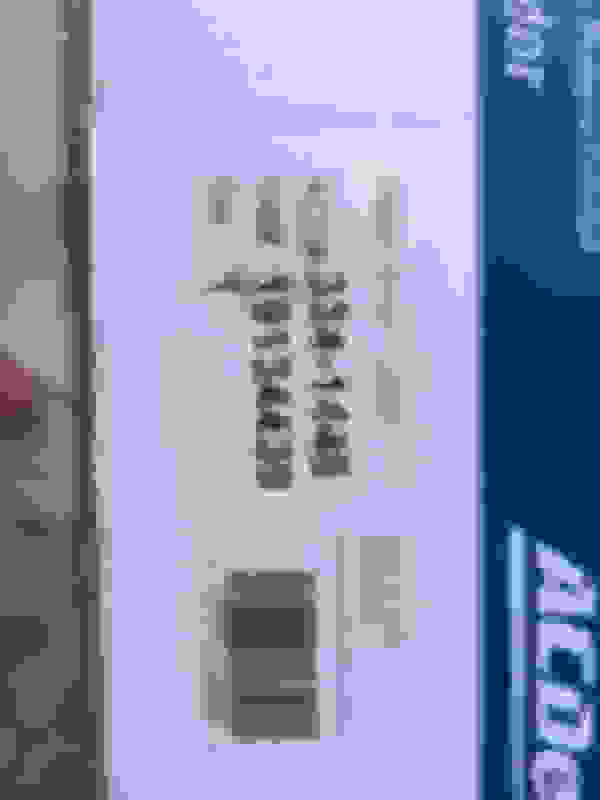 - https://www.ebay.com/…/ALTERNATOR-REPAIR-PLUG-…/291611891043. You simply cut the wires going to your Alt before the black connecting box, there will be 3 wires going into the box, a green, a green with purple stripe and a thick black ground. I soldered the green to green on the new harness/plug and green/purple to the black on the new harness/plug . I then just extended the thick black ground wire and put a new eyelet on it and attached it to the top of the alt bracket (where the brace between the manifold and alt bracket is bolted) . The new post on the Durango alt is too wide for the eyelet on the original red charge wire, simply open it up a little wider with 5/16 drill bit and it will fit. Connect everything and then I reconnected my battery, and turn the key- and 14.0v charging - It is as easy as that! What year is our ZJ? You have a 4.0L? I have a 95 with a 4.0L and haven't yet looked at the alternators stock wiring. I can see how that new plug is the same as the stock post terminals, the 160 amp alt uses a different type of terminal block for the field terminals. I think I would prefer an Mopar OEM 160 amp alternator vs an aftermarket. AC Delco produces OK new alternators however I never had any luck with their re-manufactured alts. Mopar alternators are made to last a long while, many get around 150,000+ miles, some I've seen still going strong at around 200,000+ miles. Another method to achieve higher amps up to around ~200 amps from a large case Denso is to upgrade the stator and rectifier. There are Denso upgrade kits. I upgraded a small case OEM 117 amp in an XJ to around ~170 amps. It was a brand new Jeep OEM I picked up off of eBay for $99.00. The upgrade kit with new stator and rectifier iirc was another ~$80.00. I think that's basically what your getting when going to a 160 amp Denso. An upgraded stator and rectifier to produce 160 amp output. Amp ratings, which they don't normally provide for OEMs and aftermarkets is at certain higher rpms, amp output will fall at lower rpms and at idle. Last edited by Muddz; 01-23-2019 at 03:46 AM. It is a 5.9 Grand Cherokee, they only came in 1998. 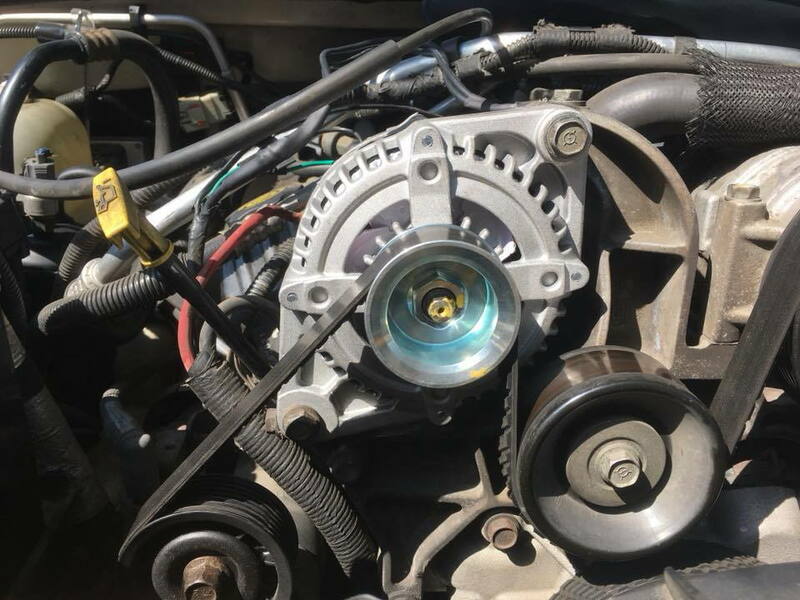 The stock alternator that came in the 5.9 was 150A, but it is impossible to find them anymore. I could have sent my stock 150A out to get rebuilt, but then my truck would have been down for awhile. With this swap I was able to get a little higher amperage and no downtime. That's what I do also, is keep backup alternators. You might consider rebuilding the old alternator yourself. Sometimes only a little cleaning and brush replacement is all that's required to repair an alternator. Other times items such as the bearing, commutator, etc. wear out. If it were myself I would probably look for another working OEM used or a good deal on a new OEM, which normally runs quite a bit more than an aftermarket. A new Mopar OEM 136 amps alt runs around ~$315.00 (w/o shipping) A new 140 amp ~360.00 (w/o shipping). Found a new Mopar OEM 160 amp on eBay selling for $454.49 (w/shipping). Which is why I would first look in a JY for a used OEM. I understand because of down time & needing transportation you needed an alternator right away. To eliminate downtime an aftermarket is the best solution unless you can shell out extra $$$ for a new OEM. If I were looking at spending $450.00 for an OEM I would probably go with a HO such as a Mechman for ~$400.00 (free shipping). If you can afford the additional dollars compared to an aftermarket such as AC Delco, Bosch, etc. It's better imo to go with a HO (high output) alternator. Alll the ones I've looked at are six phase alternators vs three phase, use at least 12 x high amp diodes in twin rectifiers. Most all have better ventilation and are designed to operate cooler when pushing high amps. Stators i are normally the hair pin type. Couple of links to Mechman all, which are very similar in design to all the other HOs. I think Mechman most popular HOs are 240 amp but also have 170, 360, etc. amp Denso HOs. At one time a few years ago I almost purchased a Mechman for the Jeep 4.0L but found a good deal on a "New" Mopar OEM small case Denso 117 amp ($99.00) that was upgraded to 170 amps. The problem with the XJ 4.0L is all the oem mounting is for a small case Denso, so to go with a large case Denso you need a special mounting bracket or grind the 4.0 engine block so the alt will fit the stock oem mounting bracket. 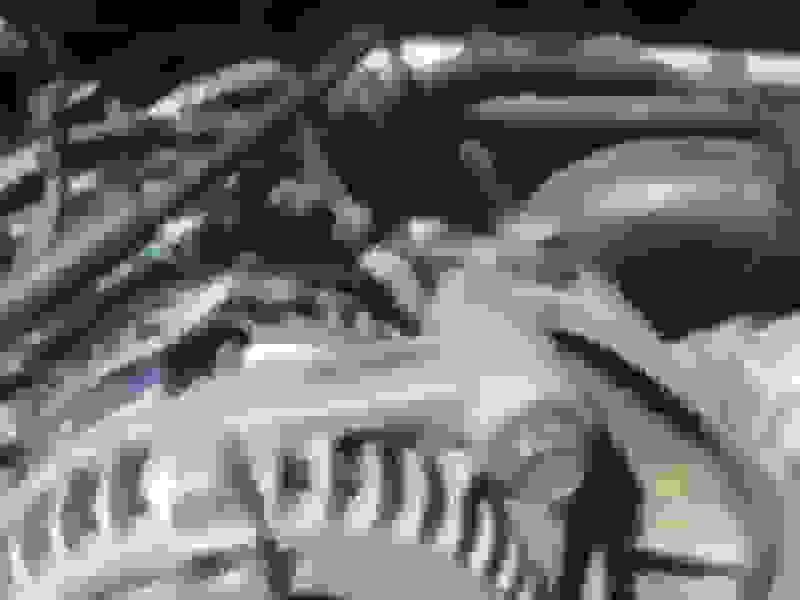 The large case Denso is too large diameter to fit an XJ (4.0L) without modifications such as grinding the engine block of the 4.0L or find a special bracket for a large case alternator. 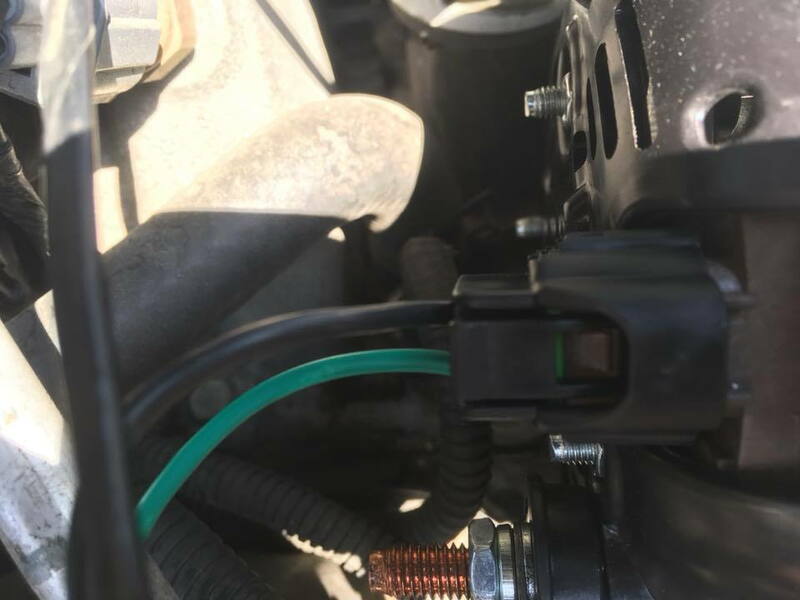 However all the alternator special mounting brackets I've looked at require you first purchase the HO alt., such as Mean Green and a couple others. They're not sold as an individual item. Last edited by Muddz; 01-25-2019 at 12:37 PM. 95ZJ, 400K Km, Original 130A Chrysler Bosch unit, my volt meter was swinging back and forth like a pendulum, truck runs rough, throws Hi Volt code. John at Fergus Alternator and Starter, Ontario, Canada; really knows his business! 3 days as one retaining nut on back was seized and had to penetrant soak (if overtorqued would damage), replaced the brushes and the cage that holds them. All other bearings and armature untouched, only $62, Steady voltage since. Not all towns have a rebuilder but google your area. If I had bought new local APC, Napa, and Canadian Tire wanted $260 plus. Insure you free up the floating nut on bottom rear of your alternator, they can get stuck in position. Will then self position in the re installation. If jammed and too tight can crimp the casting and limit the freedom of armature rotation. If you need more amps for aux sound system, lighting, winch, etc, the Durango Alt in the thread above is a great choice, thanks for sharing the RocAuto part #. I'm not certain what I would be charged in my area. There is one shop approx. ~15 miles but he overcharges for most everything. The rest of the shops are at least 30 miles. I'm uncertain if I would be able to find a good re-builder. I normally try to perform my own repairs if possible. I found the quality for the re manufactured has declined so I pass on any of the reman alternators. Look mostly for either new or used OEMs. Sometimes the bearing(s) need replacement which isn't really difficult to do. What normally wears out beyond repair is the commutator. If you can find a new rotor cost is usually high, parts list often don't include a rotor. When an alts beyond repair I usually look for a new or used OEM. I think many OEMs are built better, to last at least ~125,000 miles. 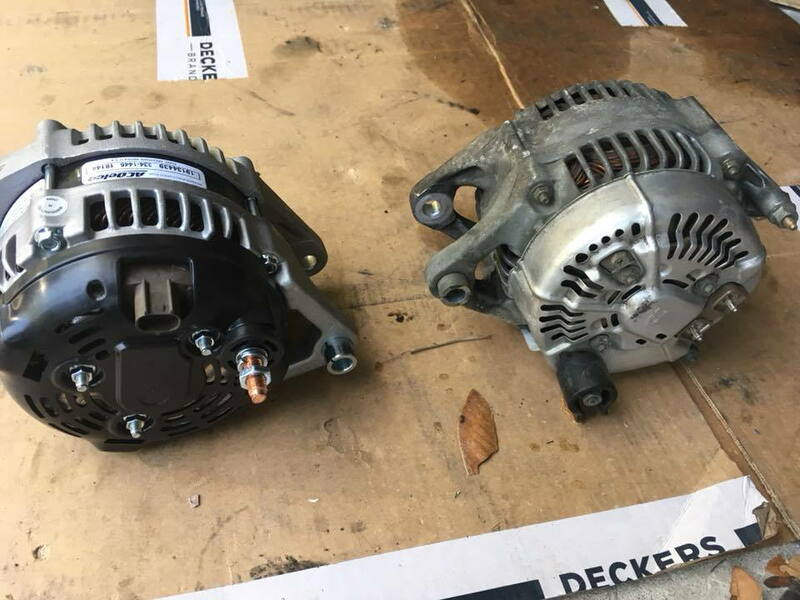 The thing to look for on rebuilds and remans is the quality of the replacement parts, many of the remans including AC Delco and others are using cheaper quality parts to re-manufacture. I went through three AC Delco remans, (lifetime warr) some of which had bad bearings. The third time I said enough is enough complained to Rock Auto which offered an exception full refund instead of a replacement. Thats when I found a brand new Mopar OEM 117 amp for $99.99 and gave it an upgrade. Last edited by Muddz; 01-27-2019 at 05:41 AM. 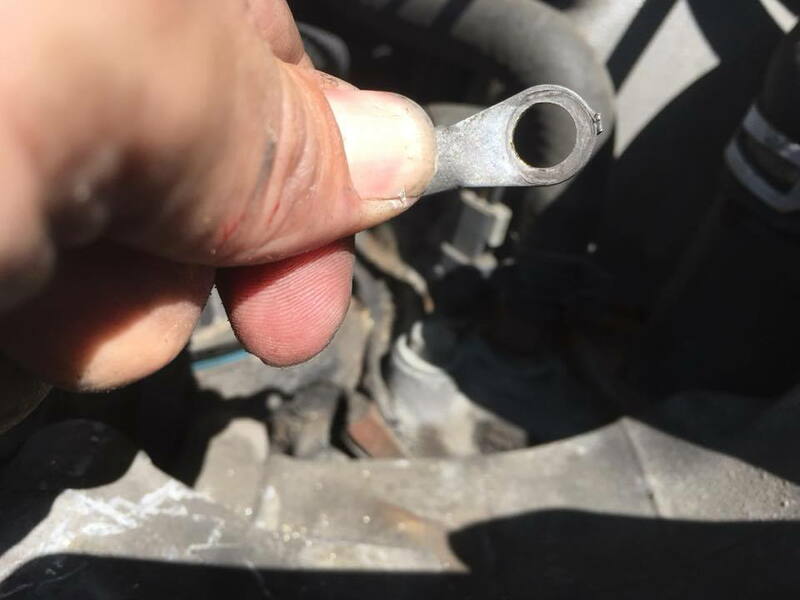 Jeep Cherokee '06 overheating after radiator replacement.